By Zhang. Posted 2009-02-05 at 19:36. Filed under Electronica and tagged Japan. Permalink. Subscribe to this post’s comments. Both comments and trackbacks are currently closed. Aogu Yoshida has begun to release that “Mel” works as “on_14” or “ao” first, He was released on an experimental netlabel such as Test Tube and MiMi Records. “on_14” was characterized by the electric guitar drone. “Mel” is his next experiment. 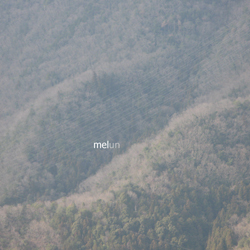 He produces the music that put rhythm and field recording, a soft drone together in “mel”. “Mel” reflects his backgrounds such as IDM or electronica. Aogu Yoshida来自日本, 他的第一张作品发布于05年, 由仅接纳葡萄牙和日本两国的MiMi Records发布. 它在bypass的这张”Un”为纯粹的唯美氛围. 起始创作于2008年. The production of “Un” was started in autumn, 2008. “Un” consists of a soft drone and simple rhythm, field recording. “Un” is peaseful work and has the sound that calmed down.